"I am absolutely, 100 percent satisfied with the work that Graphic Conservation Company does. In what you do, there is none better in Chicago or perhaps in the United States. I would not hesitate to recommend your services to any and all potential clients." 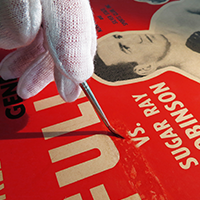 Graphic Conservation Company has been serving private clients, museums, historical societies, and other institutions since 1921. 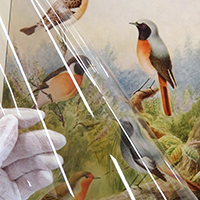 Offering the highest quality conservation and restoration of all works on paper, our company can accommodate both single items and large collections. 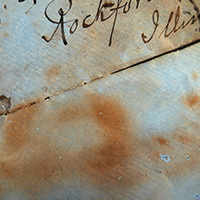 Over the years, our company has been entrusted with the conservation of rare and important items of all kinds, from precious family documents to valuable fine art and collectibles to historical artifacts of national significance. Our full-service lab additionally offers a range of museum-quality preservation services to ensure that your newly conserved work on paper is stored and displayed in a safe and archival way.